Osteoporosis – an 11th Century Samurai solution? A traditional Japanese breakfast food can help in the fight against osteoporosis. Can soy help build bones? It is often claimed that the Japanese diet can be helpful in avoiding some of the symptoms of menopause – including hot flushes – because of its low ratio of animal fats and high levels of soy products. Certainly when compared with the English breakfast the Japanese version comes out on top because of their consumption of a fermented soy bean substance called Natto. 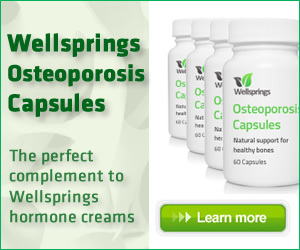 So what has that to do with osteoporosis? Natto has been the traditional breakfast food of the Japanese for centuries and apparently is the richest natural source of vitamin K2, which has been linked to better bones as well as heart health. The Japanese do not suffer the same rates of osteoporosis as in the West and according to legend they owe this daily breakfast to an 11th century Samurai warrior. Japanese folklore relates the story of how the army of the legendary 11th Century Samurai Minamoto Yoshiie were attacked as they boiled soybeans for their horses. Naturally they abandoned their cooking and hurriedly packed the soybeans in rice straw sacks and joined the battle. Sadly, things did not go well and some days later they had nothing left to eat except for the now-fermenting soy beans. It would seem that Yoshiie Minamoto rather liked the flavour – it is amazing what a spice hunger can be – and so Natto became part of the traditional Japanese diet. You can certainly understand that a Samurai warrior would appreciate the benefit of having strong bones but, sadly, they were unaware of this effect at the time. The key benefit of Natto is that it is high in vitamin K2 and the European Food Standards Authority (EFSA) has permitted health claims linking Vitamin K to the maintenance of normal bone health. The best source of vitamin K1 is found in leafy green vegetables, and Vitamin K2 is found in dairy foods such as cheese and milk products as well as meat. However, these food items are good in moderation but may not be the best source to increase in the daily diet as they can increase cholesterol levels. Also the vitamin K2 present in fermented products, like the soy beans, seems to have a superior bio-availability. Vitamin K is a co-factor in a number of biochemical pathways, most importantly activating blood clotting factors and osteocalcin, the protein responsible for organising deposition of calcium in bones. Natto may be a daily staple of the Japanese breakfast, but these web-like sticky strings of fermented soy with their pungent smell and flavour are unlikely to feature on many Western breakfast tables. As a way of getting more of the benefits of vitamin K2 and the helpful natural bacteria present in Natto, a team of UK experts have been working out how to bring it to consumers in a palatable form. After much research several companies have developed a much more acceptable way to get the benefits of naturally-fermented Natto in a supplement form. If you decide to try it let me know what you think.